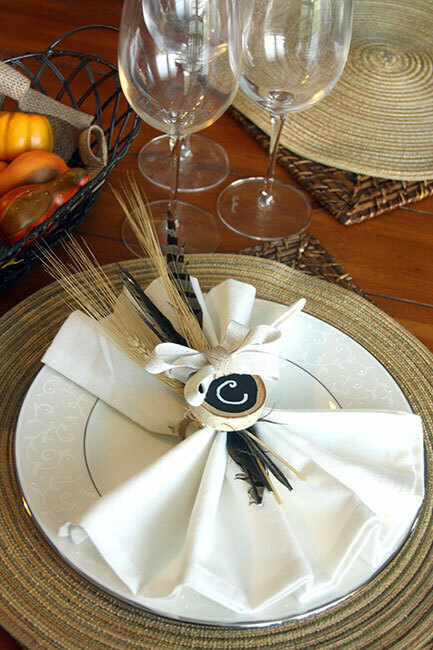 With Thanksgiving only 2.5 weeks away, I thought I would share with you a rustic and easy place setting. 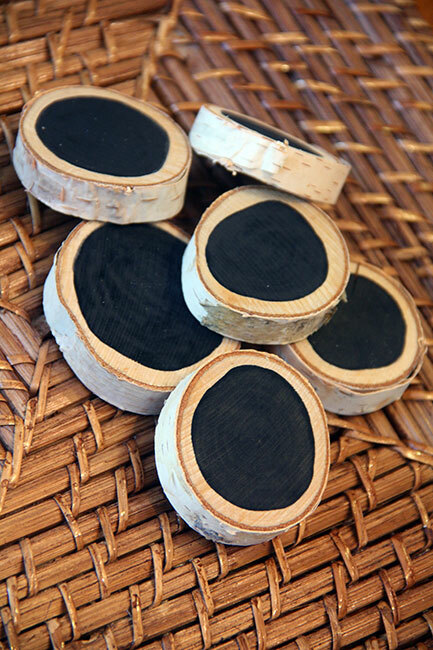 Since I had some birch tree rounds leftover from my pumpkin string art ornament craft (see post HERE), I thought I would incorporate the leftovers into some chalkboard napkin rings! All I did was paint the front side of each tree round with some chalkboard paint. While it was drying, I worked on some fancy bows. 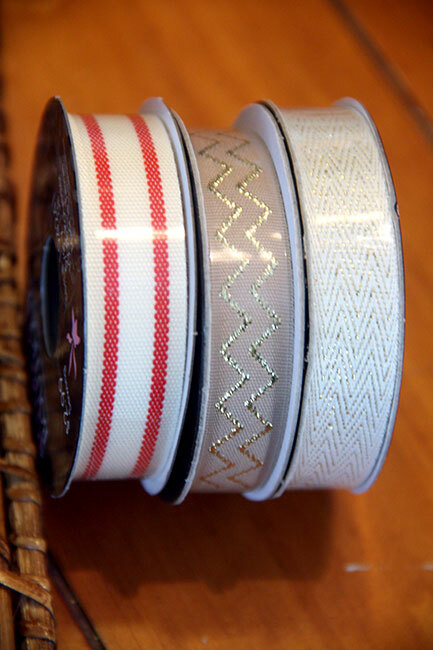 I used two different kinds of ribbon that went together in neutral and gold colors. 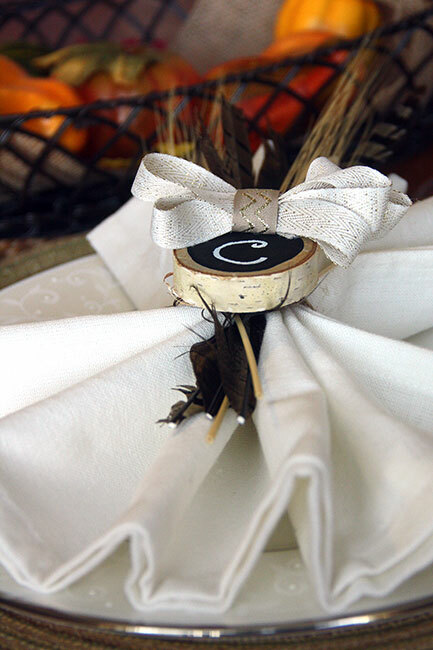 I made a different bow, but with the same ribbons for each place setting. We aren’t having family over this year for Thanksgiving, so it was fun to ‘pretend’ I was setting the table. I even got out the good china for it. 😉 For the napkin, I did the easy accordion fold and I tucked in some wheat and feathers with the napkin for a more natural feel. 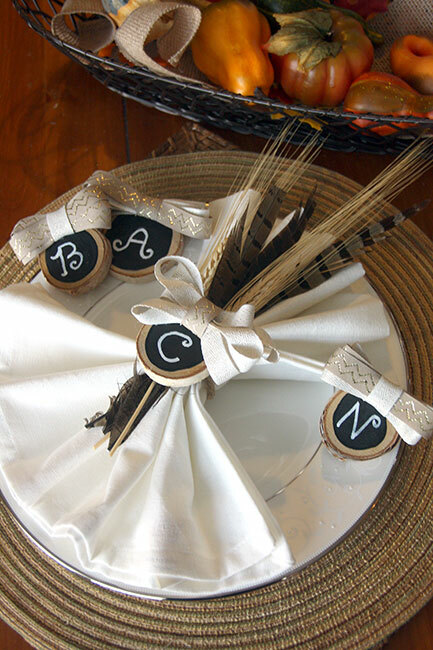 If I were hosting Thanksgiving, I would want to bring in a lot of natural and outdoorsy items to display on the table next to the place settings. 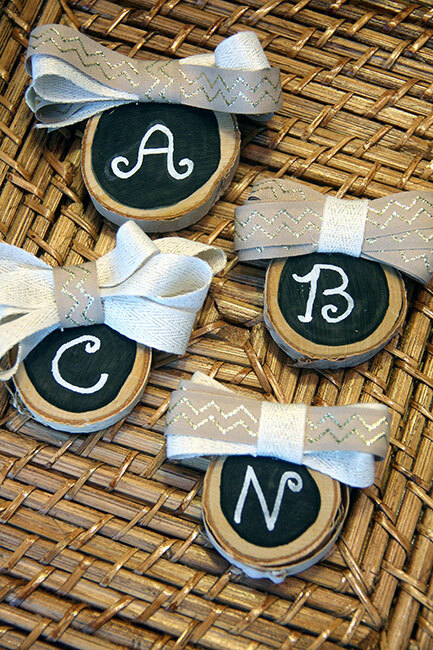 If you are wondering how to make these on your own, you’ll need some tree rounds. 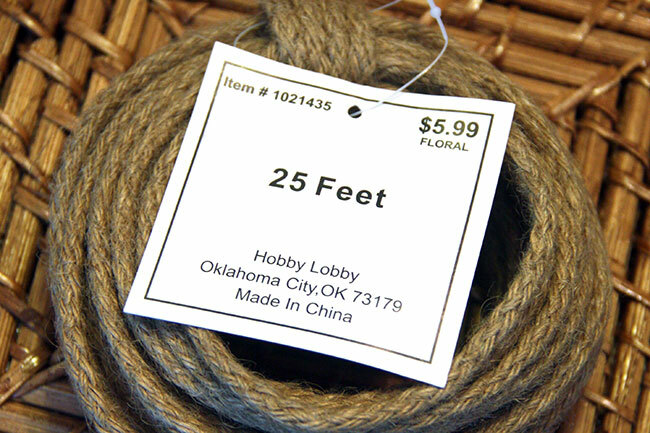 Hobby Lobby sells birch rounds and other rounds in a bag for a few dollars. Then, you’ll paint the front of them with chalkboard paint. Usually the bottle will say to paint two coats vertically and two coats horizontally. 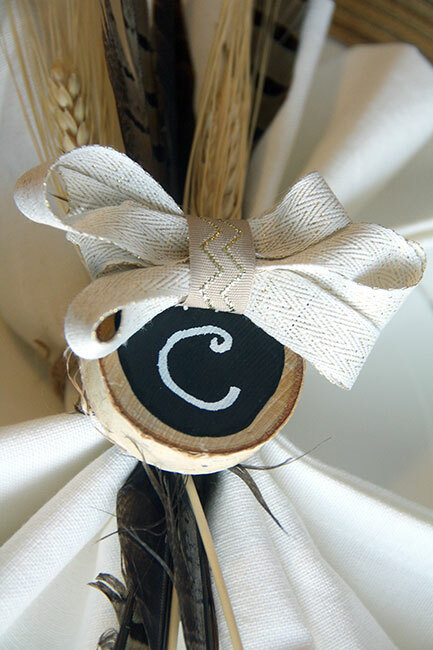 I selected two ribbons in natural colors with a hint of gold (of course!). The other ribbon pictured here is a red grain sack ribbon that I HAD to have. I had never seen this before at Hobby Lobby, but they had it in three different colors. I am not sure what I’ll use it for yet, but I’ll find something! I used two different spools of ribbon to make bows for each of the tree rounds. I changed it up a little for each bow to add some visual interest. I used this rope to make the rings for the napkin holders. 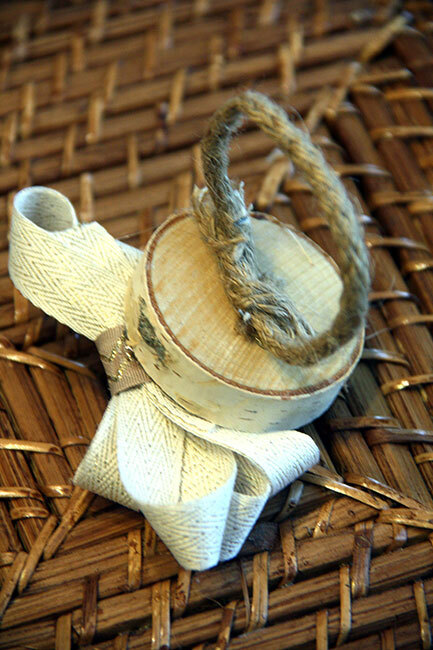 It is a rope that has twisty wire inside it, so it bends easily into a circle shape. I then hot-glued the circular shape that I made the rope into and attached it to the tree round. 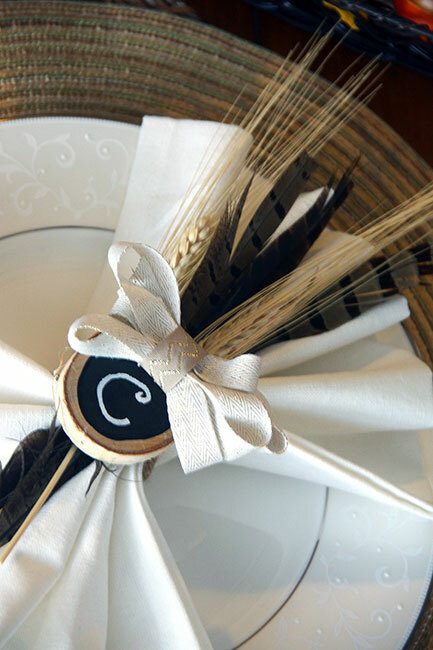 I was really happy with how this entire place setting turned out. 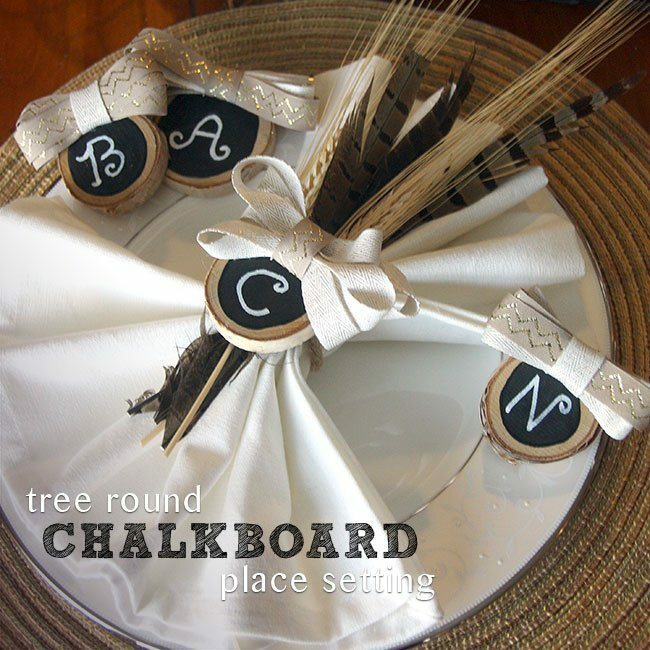 I used a chalk board pen to write the initials on all of the tree rounds. If you do a lot of chalkboard writing, you really want to get a nice chalkboard pen. You can find chalkboard pens at Hobby Lobby and even on Amazon. 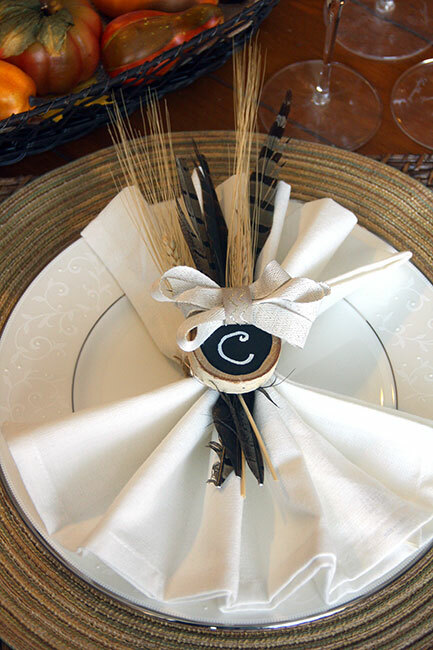 Using a filler such as feathers and wheat helps to make the table ring look more natural against the napkin. I also used off white for my napkin color instead of a stark white. The table I set is round, not rectangular, so I layered a wooden placemat in a square shape with a round placemat on top. I have tried using rectangular placemats on this round table and they just do not compliment it. So, if you are setting a round table, look for square or round placemats and even try layering them on top of each other as I did. You will also probably want to add a table cloth, which I didn’t do here. 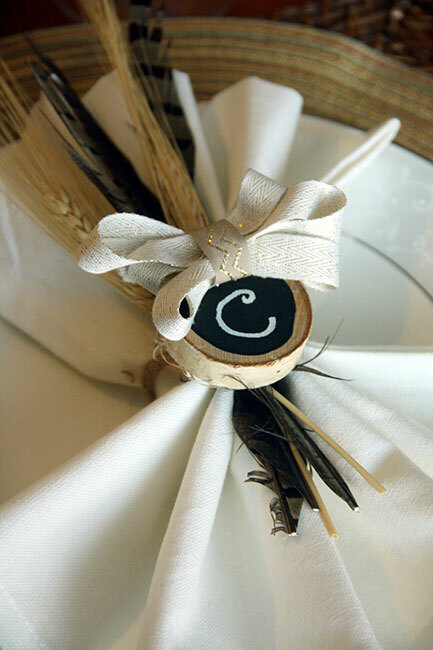 I hope you enjoyed this place setting with the chalkboard initials. I still can’t believe Thanksgiving is almost here! We did host Thanksgiving last year, but this year we won’t be… Although, I still plan to post a Thanksgiving menu on the blog. 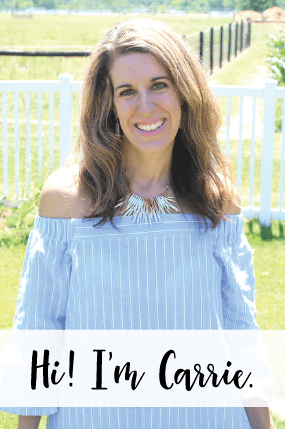 I love to look through recipes that I have used and loved or new ones that I want to try… Thanksgiving is definitely the best meal of the year! Yum!